Amp up your work or school commute with the GOTRAX GXL electric scooter. With a boosted 250-watt engine, your GXL e-scooter can reach a top speed of 15 mph! Cruise casually to and from the grocery store or make it on time to that lecture on the other side of campus. And with a total range of over 12 miles on a single battery charge, you’ll never have to worry whether or not you’ll make it to your next destination. Stand out from the other commuting electric scooters by blending in! The GXL scooter is crafted with a sleek, wireless design so you arrive in seamless style, every time. But you’re not trading in durability and function for style - the GXL electric scooter comes with a fortified frame and specially designed features. The GXL e-scooter is equipped with a dynamic handlebar display built right in - meaning you can keep track of your battery life, headlights, and speed all at the touch of your fingers! The GXL’s reinforced X frame allows it to support riders up to 220 lbs - making it one of the strongest portable commuting companions on the market! And LED headlights mean your ride isn’t limited to just the day time! Make it to a midnight movie or take a moonlight joyride. Ride over all those familiar bumps and cracks in your sidewalk knowing you’re in good hands - the XL electric scooter is designed to be not only durable but waterproof as well! The scooter’s airtight design means it can handle almost any puddle or small splash in its path! 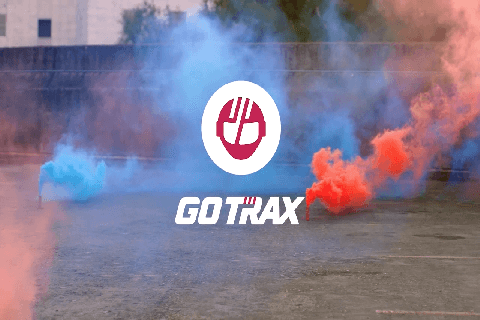 Feel like a race car driver with all of the GOTRAX safety. The GXL scooter is equipped with both handlebar brakes as well as rear disk brakes And once you get to your destination, use the GXL electric scooter’s responsive dual brake system to come to a stop - as slowly or quickly as you need! And with the GOTRAX e-scooter’s Lithium rechargeable ION battery, you’re commute carbon footprint just got that much lower! Simply plug in your scooter, charge, and get ready for unlimited electric fun! A really great scooter.... At last ! I love this scooter ! Much better than my last scooter. This is my second electric scooter. The first was a Swagger 5 Elite, and I did not like the fit or the fine details ( warped wheels out of the box ) of that model. I really wanted to like it, though, as I don't like to do returns. The Gotrax GXL is MUCH faster, though it feels like it doesn't like my 220 pounds as much as the Swagger 5, which is a VERY sturdy scooter. This scooter has a simple, great build and has better wheels. It has a LOT of torque, and despite not feeling quite as sturdy as the Swagger, is more than enough to propel me. I have not gone on a long trip, yet. It has a hook on the stem, and I ordered the rack for it. That means that I can let the solid stem to ground part support all my gear. I am VERY impressed by this scooter, and hope to get many miles out of it. You can feel the difference in power and torque right out of the box, which was small and well packed. I'm gonna treat it with much respect and cherish every dry day that I can get here in the Blue Ridge Mountains, which have been SOAKED for months on end. Thanks for the great product GoLabs and Wal Mart! This scooter is priced right and exceeds expectations all around! Very Very nice! Ive seen 18 mph consistently in second gear on flat surfaces and I Weight 145. Quick (even startling) pick up and good handling. First gear handles light hills like a champ when you have some rougher terrain! I was skeptical initially, but this is authentic! The scooter works better than described! I was skeptical initially because my two other previous scooter experiences, but after getting this and using, I can say it is well worth the money. I previously bought Gotrax Glider, used for few weeks and was not satisfied with its lack of suspension, I returned it and got the refund in a week. I then bought Partu electric scooter - that was like Glider but has spring suspnsion, unfortunately, it just didn't start, even after charging all night, hence I returned that too. I searched and looked at all other scooters available but finally decided to go with the Gotrax GXL because of its price range, pneumatic tires while still being skeptical about whether it would provide any sort of suspension at all. Now after using it for the fast few weeks, I am really satisfied. It actually does provide decent suspension goes over small cracks and bumps with ease, and the ride is as smooth as a typical bike. I weigh 62 kg, when compared to my previous scooters (I think they are for kids :D) I found the GXL goes on average 17 mph, and I very aften reached top speeds of around 20 mph whenever I come across flat roads, I did confirm these speeds also using a mobile app. Acceleration from start is great, you can feel it. I did the range test, on a single charge I went 12.3 miles (on average 7-8 mph speed) and still had 2 bars of charge! I believe for my weight I could probably go up to 15 miles on a single charge but for the health of battery I recharge whenever I reach 2 bars. I take it work (total of 3 miles daily), groceries and local parks and bars! In the future iterations, I still suggest Gotrax to put some spring suspension in GXL so that can never have to worry about big bumps on the road. Acceleration and electric break are a bit touchy, just have to be careful, so another for Gotrax to improve. 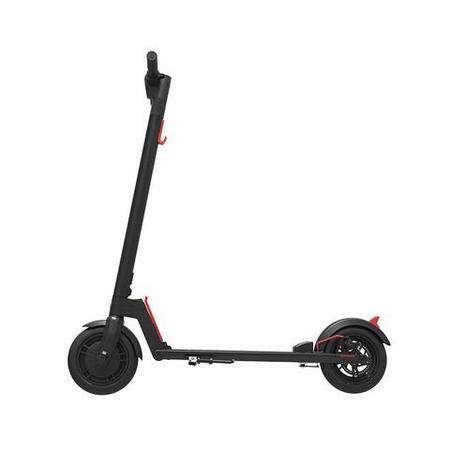 It is a legit commuting scooter, worth all the money (seems prices now increased, I think it would keep increasing because of good reviews! Actually I found the reviews are accurate). I love the design of the scooter, The quality that comes with the making of the scooter as far as painting and design come in play. I use my scooter everyday to take my dog for walks. Love how my scooter looks. It looks like its very expensive but in actuality they are super affordable. Very good speed performance, and stopping power. Looks good and sturdy. it's heavy, tires are large. Requires maintenance, and monitoring of air level. Flats require repairs. Rear foot brake placement feels insecure. No bluetooth option. Has a slight lag at start of acceleration. I bought this scooter and used it three times now the battery seems to be dead. trying to get a hold of technical support but so far I've been unsuccessful. itś a nice looking scooter but there is something wrong with the design. I would not reccommend this scooter . I've ridden this scooter less than 10 times total, today midway through a ride where the battery was still over 75%, the scooter abruptly stopped and flashed the battery light. I contacted GoTrax immediately after walking the scooter 2 miles back to the house. I was told that it was slightly out of warranty, and they offer absolutely zero troubleshooting, they will not attempt to troubleshoot anything over the phone, the only option is a replacement and they will not replace the scooter for me. So effectively, after paying the higher previous price ($399 plus tax) on this scooter, I have paid over $40/ride and now have a dead hunk of metal sitting in my garage. If you like useless scooters lying around the house, this product is for you. Even when powered off and not working, the scooter has a significant amount of resistance and isn't even good for standard kick powered use. GoTrax customer service is the worst I have ever received, I strongly recommend purchasing a different product unless you want a dead scooter. I bought this product from Walmart. In three weeks the battery died and walmart refused to replace it because they say 15 days elapsed. The makers of GOTRAX scooter with a very terrible customer service attitude sent me another damaged battery and I have no help from anyone now. This is a shame!